Rabbi Ari Israel is in his twenty-third year as a Hillel Executive Director. Since 2003, he has been at the University of Maryland after spending seven years at the Rochester, NY area Hillels. 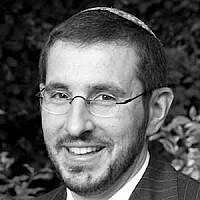 In addition to Rabbinic ordination, Ari has Masters Degrees in Medieval Jewish History as well as Secondary Education. Ari is an adjunct professor at the University of Maryland, teaching a Jewish Leadership Class, taught for the Melton mini-school for ten years and is currently the Judaics faculty member for the ACHARAI Leadership Institute in Baltimore, MD. He is married to Suzy and they have six children residing in Silver Spring, MD.